Strengthening its presence as the leading battery manufacturer, Amara Raja Batteries Ltd (ARBL) today commissioned its Two-Wheeler Battery Plant at the Amara Raja Growth Corridor in Chittoor, Andhra Pradesh. 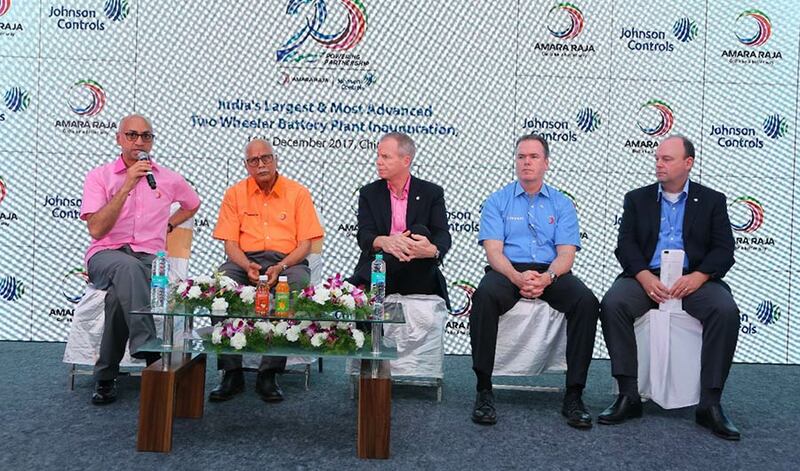 The plant was inaugurated by Mr. George R Oliver, Chairman and CEO – Johnson Controls, showcasing yet another milestone in the successful joint venture between the two companies. The first phase of the plant which was commissioned will have a capacity of 5 mn units. The plant will have an ultimate capacity of 17 mn units with an estimated investment of Rs 700Cr taking the total capacity for two-wheeler batteries to 29Mn units. The plant will employ 1300 people at full capacity. It is the most advanced production facility in the country pioneering the use of advanced punched grid making technology for two-wheeler battery manufacturing. The technology ensures best-in-class product performance, higher productivity and improved environmental standards. I am delighted on the occasion our partnership completing 20 successful years. I could not be more proud of this milestone in our combined history. When Johnson Controls and Amara Raja first came together in 1997, our goal was simple: deliver high-quality batteries to customers across India. By constantly innovating our products, anticipating the needs of the market and delivering value to our customers every single day, we’ve certainly met our goal. This advanced battery plant heralds another path-breaking journey between the two companies for creating new milestones. This initiative is a step forward in boosting capabilities to match global competitiveness. The advanced, high-speed assembly lines present in this plant will increase efficiencies, thereby driving higher productivity and shorter delivery times. Johnson Controls has always supported our efforts to introduce advanced technology and innovative products. The plant infrastructure too reflects Amara Raja’s commitment to deploy energy efficient processes to minimise carbon emissions. For harnessing solar energy, the plant is also installed with 2.7 MW of roof top solar power which generates 4.5 mn KWh of energy. The high-speed assembly lines and advanced Robotic system will help minimise human intervention making the process highly reliable. 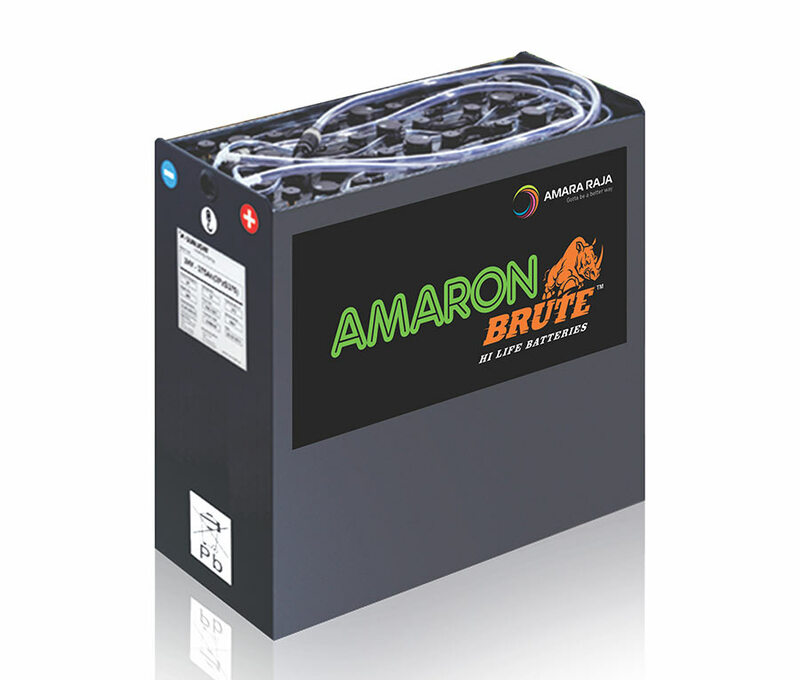 A company with 26% equity each from the Galla Family and Johnson Controls Inc., USA, Amara Raja Batteries Limited is the technology leader and one of the largest manufacturers of lead-acid batteries for both industrial and automotive applications in the Indian storage battery industry. In India, Amara Raja is the preferred supplier to major telecom service providers, Telecom equipment manufacturers, the UPS sector (OEM & Replacement), Indian Railways and to the Power, Oil & Gas, among other industry segments. Amara Raja’s industrial battery brands comprise PowerStack, AmaronVoltTM and Quanta. The Company is a leading manufacturer of automotive batteries under the brands Amaron and Powerzone, which are distributed through a large pan-India sales & service retail network. The Company supplies automotive batteries under OE relationships to Ashok Leyland, Ford India, Honda, Hyundai, Mahindra & Mahindra, Maruti Suzuki, and Tata Motors. The Company’s Industrial and Automotive Batteries are exported to countries in the Indian Ocean Rim.